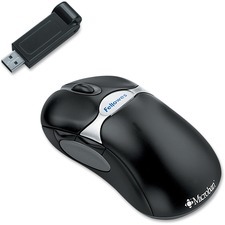 Fellowes Microban® Cordless 5-Button Optical Mouse - Optical - Wireless - Radio Frequency - Dark Graphite - USB - Scroll Wheel - 5 Button(s) - Symmetrical Microban® antimicrobial protection keeps product cleaner. Offers precise movement and clear reception up to 19 ft. Long battery life and superior optical sensor ensure hassle-free wireless mousing. USB connectivity; includes 2 AA batteries. Compatible as plug & play device with Windows® Operating Systems. 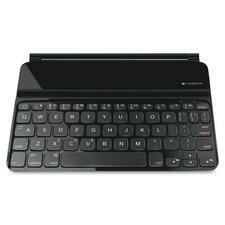 Wireless keyboard features laser-etched, backlit keys that you can see easily in any light. The PerfectStroke key system helps make every stroke fluid and whisper-quiet. 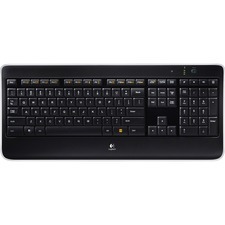 Concave design and softly rounded edges of the durable Logitech Incurve keys position your fingers properly. Flexible recharging eliminates the need for disposable batteries. Simply plug in the universal micro-USB cable for up 10 days of battery life on a single charge. Even use the keyboard while it's recharging. Advanced 2.4 GHz wireless delivers a long-range wireless connection that virtually eliminates delays, dropouts, and interference. The tiny included Logitech Unifying receiver stays in your laptop so there's no need to unplug it, risking loss or damage. 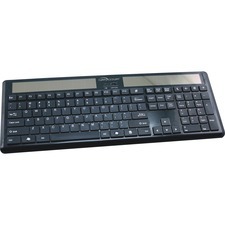 Plug-and-play receiver also allows you to add compatible mice and keyboards. Wireless K800 also includes a micro-USB charging cable and receiver extender cable, and is compatible with Windows XP, Windows Vista and Windows 7. 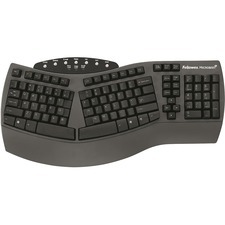 Fellowes Microban® Split Design Keyboard - Cable Connectivity - USB Interface - Compatible with Computer (PC) - Multimedia, Internet Hot Key(s) - Silver, Blue Microban® antimicrobial protection keeps product cleaner. Conforms to natural arm and hand positions for added comfort. 16-character buffer for fast typists. 7 additional hot keys for multimedia control and one touch Internet access (internet must be connected). USB connectivity. Compatible as plug & play device with Windows® Operating Systems. Sleek, wireless mouse can work on any surface without a pad. Innovative V-Track technology uses vertical rays that go deep into the details of all surfaces for smooth and accurate tracking anywhere. Compared with conventional 2.4G wireless technology, XFAR No shaking delivers the absolute stability of wired mice with wireless convenience and freedom and without delays and shaking. XFAR No shaking 2.4GHz wireless connection provides a 10-meter operation range, fast and accurate data transmission and more. Power-saving management includes sleeping time and wake-up settings as well as automatic power-off after your PC is turned off. Resolution adjusts by button from 800, 1000, 1200, 1600 to 2000 dpi. 16 predefined mouse movements perform your favorite commands. Four-way wheel offers smart vertical and horizontal scrolling. Shuttle-key mouse software includes value-added functions, such as Screen capture, TutorPen and more. Mouse also includes four buttons and a nano receiver. 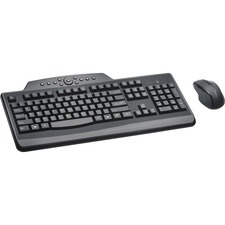 Pro Fit Wireless Media Desktop Set offers a full-size keyboard for increased productivity and comfort. 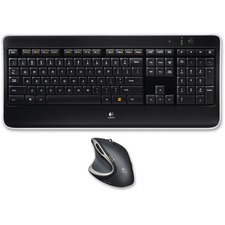 An adjustable height keyboard provides improved typing and a right-handed, mid-size mouse offers ergonomic comfort. Wireless technology provides you with a clutter-free work station while dedicated keys offer quick access to the Internet and multimedia. A spillproof keyboard resists coffee, water, soda and other liquids. Extended battery life lasts up to 12 months. 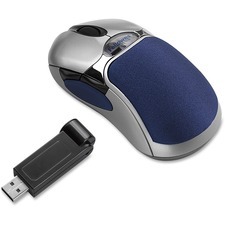 Cordless mouse offers advanced cordless technology for clear reception up to 6'. Long battery life and superior optical sensor ensure hassle-free cordless mousing. Design also features a patented soft gel cushion for added comfort, and five programmable buttons. 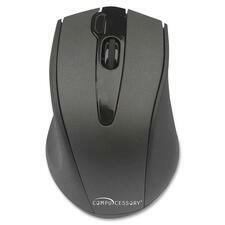 Mouse includes Fellowes EasyPoint Software and two AA batteries. Mouse is compatible with Windows XP, Vista and Windows 7.